I remember how about 10 years ago the hospitality sector in Malta lamented the lack of sommeliers for hire. Back then, the feeling was that more certified wine professionals with the aptitude to look after wine service lock, stock and barrel needed to join the ranks. Pessimists will say that wine service is still not always up to the highest level possible. Others will argue that, on the bright side, the catering industry has all in all come a very long way. But, no matter whether the glass is half full or half empty, what matters in this trade is continuing to fill it properly. And it has been interesting to witness how wine service in Malta’s restaurants has been refashioning itself. A first observation is that local diners have thankfully been spared the boastful hipster hero version of the sommelier that’s come to dominate the American scene and attained notoriety. What being a sommelier is not about is pushing your own creative agenda on guests or creating a list based on your favourite obscure, blue-chip wines hailing from far-flung places in the hope that it makes you look clever. Actually, that’s just bad practice which overshadows the job’s real role and use. Perhaps the position of sommelier proper has not been filled as often as hoped. Instead, though, Malta has become home to an ever-growing brigade of dedicated front-liners who are quietly making a living based on service, which is the ethos of the real sommelier. They may not all possess encyclopaedic wine knowledge, yet but it’s reassuring to see that today’s generation of waiting staff is no longer afraid of bringing up the subject of wine with customers. As a result, wine no longer goes unnoticed but is ordered and enjoyed. I’d say our waiters and waitresses appear more comfortable than before with suggesting appropriate wine and food recommendations, something which is hard to learn out of a book but is built up over time and with experience. 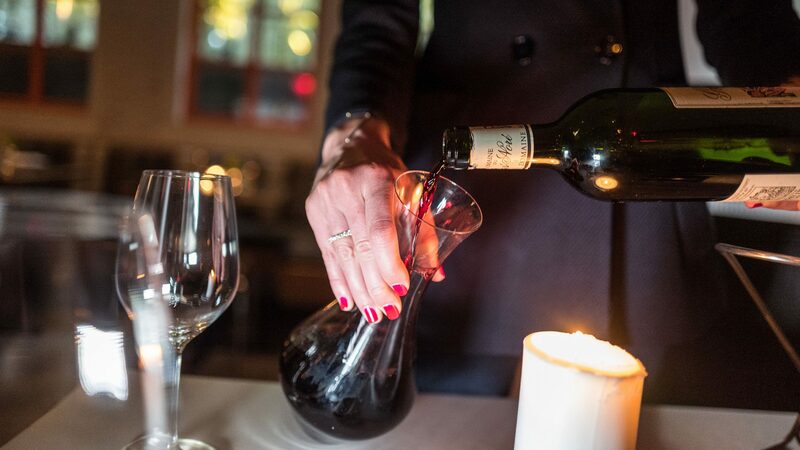 In the little time there is to interact with clients, the attendant taking the order needs to suggest the proper style of wine to go with the menu choices. A sale will elevate the dining experience and ultimately help the restaurant’s bottom line. The trick of the trade is all about recommending wines people want and doing so with empathy. Being sensitive to the extent of their budget and offering bits of wine information commensurate with the level of interaction customers feel okay with is the key. After all, while some patrons like to hear everything there’s to know about the technical intricacies of a bottle, other diners would give the restaurant a wide berth at the thought of going to be faced with plenty of winespeak. That’s not to say there isn’t a time for theatricality. However, showmanship should manifest itself in the use of the right stemware, crisp napkins wrapped around correctly opened bottles placed properly in ice buckets or decanted with flair, keeping a careful eye on the fill level of each glass and, by all means, a showing of a little flourish when the wine is poured. Wine stewards are also windows to the country’s soul. With more and more foreign nationals joining the waiting ranks tending to ever more overseas visitors (who might not get to speak with anyone else during their stay), there is the necessity for them to learn about Malta’s heritage wines, the family history of the nation’s successful wineries, the sustainability of our local winegrowing practices and the relevance of recommending Maltese and Gozitan wines of distinction. Customers don’t always realise the extent of professionalism that’s involved since the best wine service is often the least noticed. To me, Malta’s committed waitpersons, wine stewards and sommeliers are our unsung heroes of wine service, deserving respect, praise and gratuity. This article by Georges Meekers first appeared in the Times of Malta on Friday 12 January 2018.